I've committed to making an investment. When is my payment due? So you've decided to invest. Now what? Do you pay immediately or when the campaign closes? When is payment due? As an investor, you will only need to pay for the investments you've committed to once the campaign is deemed successful. All companies are required to give us a minimum and maximum funding goal. Say for example a company sets its minimum goal as SEK 1 million and its maximum as SEK 2 million. 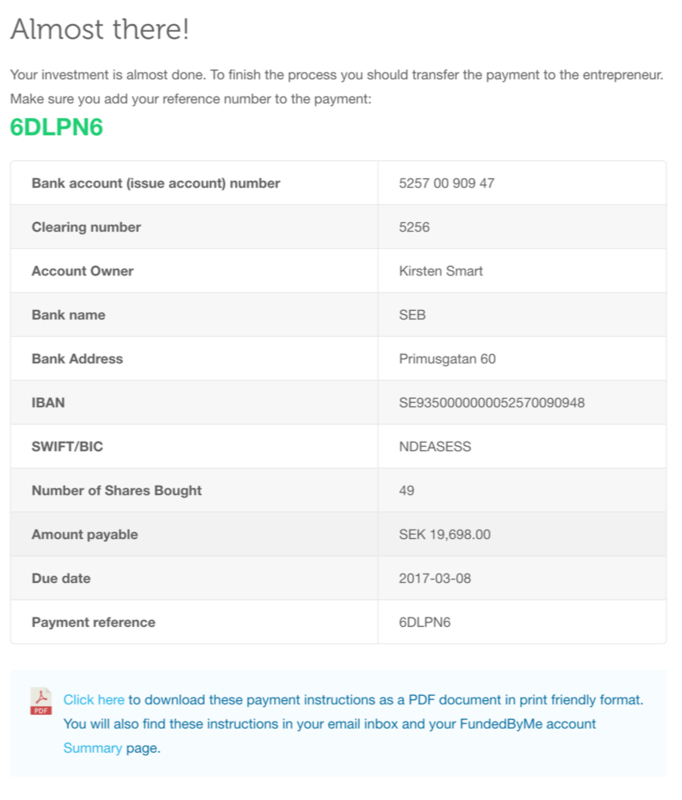 Once the campaign has reached its minimum goal of SEK 1 million, it is deemed to be 100% successful (even though the campaign can continue to crowdfund until it has reached its maximum goal of SEK 2 million). At this point, if you have committed an investment to that company, you will be prompted to make your payment via bank transfer to the verified account belonging to the campaign owner. Additionally, payment instructions will be sent to you via email and can also be accessed and downloaded via your dashboard.